This page is about two types of filters. First off, IR pass filters as used for IR photography and secondly IR cut or IR block filters used to prevent the recording of IR light. 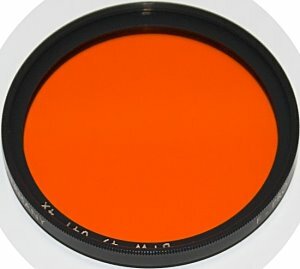 Every standard digital camera already has such an IR cut filter, but sometimes you want a stronger filter or you want to recoird visible light only with a modified digicam. So, are you irritated by the names filter manufactures apply to their IR pass filters? Well, you can't be blaimed. In scientific use, it is common to reference a filter by its cut-off frequency. This is the frequency where the amplitude of the signals passes through 50%. 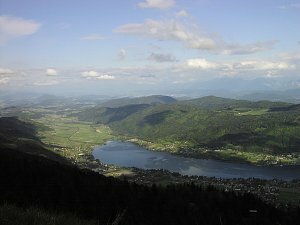 Among others, Schott, a world leading glass manufacturer calls its glass by appending the cut-off frequency to the letters describing the colour of the filter. 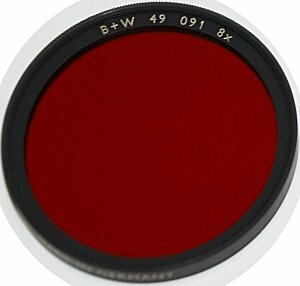 RG 715 means a red glass filter with a cut-off frequency of 715nm. 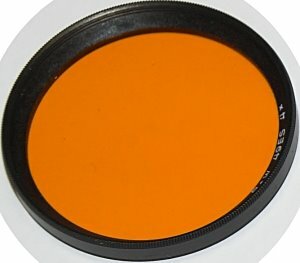 This is the glass used by Heliopan for their 715nm filter. 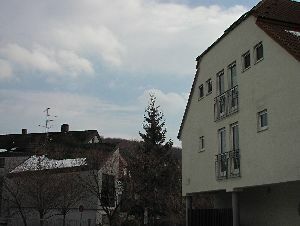 The German Institute for Standardization DIN appends the cut-off frequency to two letters describing the type of filter. LP 715 is a long pass filter. It lets "everything" with wavelengths above 715nm pass. This is the same glass. So far, everything seems logical. 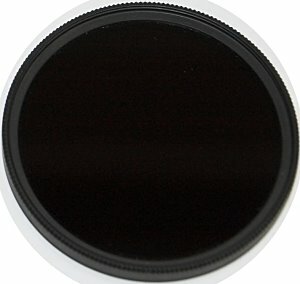 However, Kodak's Wratten filters and B+W use different naming. Hoya uses rounded 50%-frequencies as a name, but they drop the last zero: RM-72. 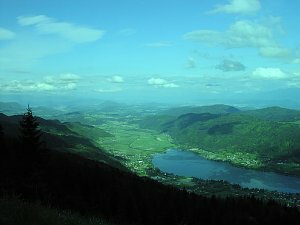 Gisle has compiled a useful table of filter compatibility. However, as he himself states: The data is not always coherent. Some manufacturers are just too sloppy when saying that their filters is just like a Wratten whatever. Hoya adds to the confusion by adding different prefixes to their filter names: R, RM and IR. The first ones stand for "sharp cut filters" while IR is the name for "normal" IR pass filters. Infrared Pass filters are one example for analog filters that cannot be replaced with digital filters. Yes, there are PhotoShop actions that mimic the IR effect, but these are just poor substitutes, IMO. 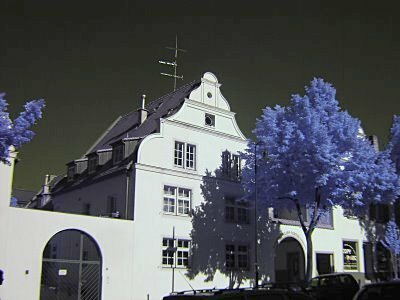 If you have an unmodded camera, the story is told quickly: Buy a Hoya R72 or Heliopan 715nm and be happy. 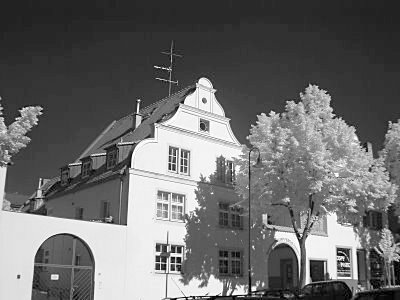 It will give you fals colour IR that can be converted to Black&White easily and the exposure time is not too long. If you get more dedicated, try a longer IR pass filter like a 870nm filter. 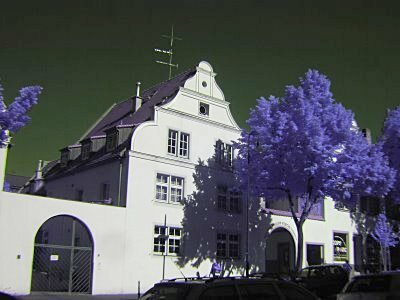 Exposure time will increase dramatically, but the IR effect will get more pronounced and you'll see less colours. 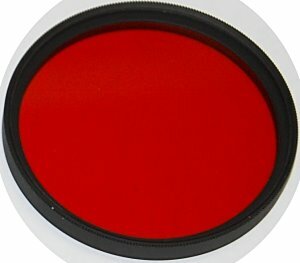 While you need a long-pass filter with a cut-off frequency in the infrared for standard cameras, modded cameras are much more sensitive in the IR spectrum, so you can get IR effect with red filters. I'll list a few orange and red filters and their results here. Sorry for the horizontal and vertical scrolling. I hope this enables you to judge the effect better, because the pics are large enough and close to one another. 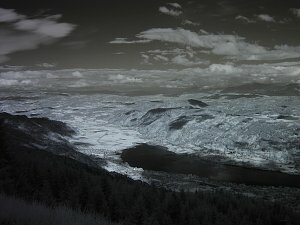 All of the following shots were shot with my modded Olympus 2040IR. I highly recommend that you visit Josh's page where he shows the effect of different filters on his factory-modded Fuji IS-1. 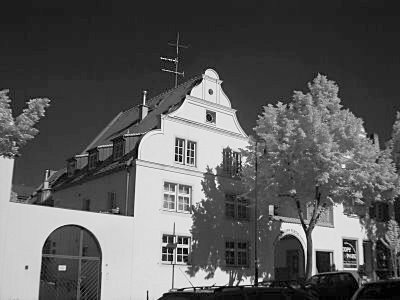 While I think that even a mild orange filter already gives nice results, only an IR pass-filter like the Heliopan 715 (or Hoya R72) will give you that strong and "in your face" IR effect. 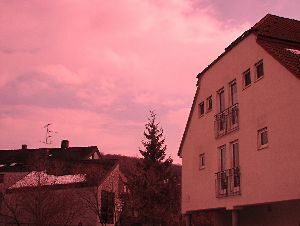 Anyway, a deep red filter like the 091 will allow framing and even focusing through the filter on SLRs. So this may be a good compromise for SLR users. 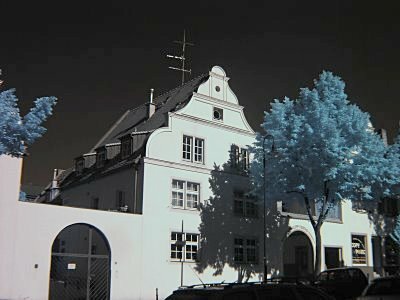 If you have read my (or anyone else's) introduction to infrared photography you know by now that IR light can contaminate your visible light photos. Of course, when you remove the internal IR cut filter, this problem gets very much stronger. Although my white balance comparison showed that you can get quite good results with custom white balance on at least my 2040IR, there is no denying that this contamination is there. No filter and automatic white balance. No filter and manual white balance. 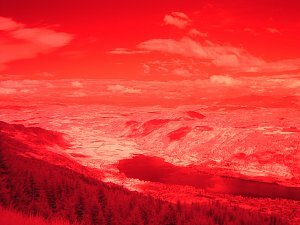 As long as there is no object with strong IR reflectivity, like some fabrics, this method works well, if your camera's white balance algorithm can cope with the underlying red cast of the modded camera. Also, even with manual white balance working as well as that of the 2040IR, I found that the camera is now very delicate if the light source changes. I used my 2040 in a museum and I had to re-balance in every room, because they always had a different mix of light! So what to do if you want to use your modded camera to photograph visible light as you would do with a normal camera? You have to replace the internal IR cutting by external IR cutting. There are aftermarket hot-mirror and IR cut-filters available. They screw onto your lens thread just as normal filters do. They are for example available from Heliopan. However, these filters usually have no colour tint (they work by refraction, not by transmissive absorption as the removed filter did). This means that because we have removed this cyan glass, the colours are off. Either use manual white balance or -much better- a corrective filter. www.Schott.de offers several glasses that might work as does www.edmundoptics.com. Sadly, the only one I know to work is the X-NiteCC1 sold by www.maxmax.com in only a few selected sizes. Heliopan offers the Shot glass BG39. It is greenish and the filter transmission curve looks similar to that of MaxMax's CC1. As I could not get the CC1 in my desired diameter of 49mm, I thought I'd give the BG39 a try. BG39 and automatic white balance. BG39 and manual white balance. 715nm and automatic white balance. 715nm and manual white balance. As you can see, with a BG39 & automatic white balance, the picture is too green. 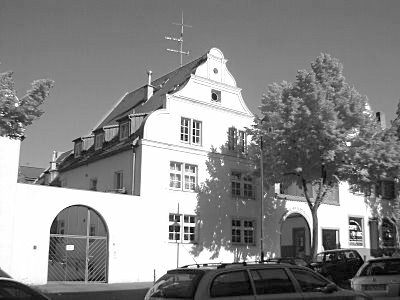 With manual white balance, the image looks ok. With a 715nm IR pass filter, the automatic white balance is too red, but the manual white balance yields a nice almost greyscale image. Result: The BG39 works ok, but if you can, get the MaxMax CC1.